Centrestage was opened in Kilmarnock in 2006 by Fiona McKenzie & Paul Mathieson without public or grant funding and operates with the ethos that anyone – regardless of age, background or experience – can gain life changing social benefits through active participation in the arts, particularly music, drama and dance. In 2017, Centrestage now delivers projects and activities across Ayrshire to over 2,500 participants weekly. With a strong vision “To create future communities of purpose by breaking down barriers, unlocking potential, developing strengths, promoting inclusion and shaping journeys across our Centrestage family.” This underpins everything done at Centerstage, all focused on fun, food and folk. All activities promote leadership and teambuilding through the arts and in building a strong sense of community both within the organisation and in the wider community. 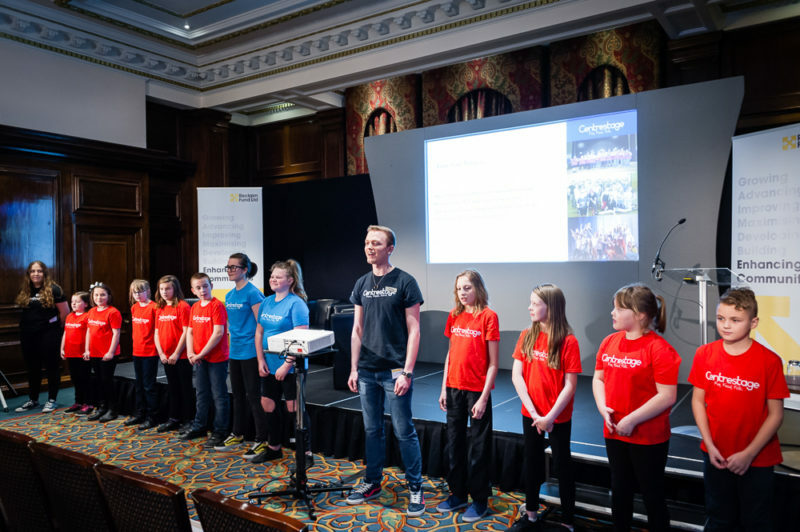 Centrestage is committed to enabling all participants to engage with a sense of belonging to a wider community and to breaking down the barriers that prevent achievement. They aim to give all participants an experience of what they can create, a sense of their own value and awareness of new possibilities for their own lives and the influence they can have on others. Click here to be taken to the Centrestage website.